On December 31, 2018, CPC successfully completed our Queens Naming Campaign, raising more than $1 million for the CPC Queens Community Center in downtown Flushing. CPC congratulates Julie Menin on her appointment to the dual role of Director of the Census for NYC and Executive Assistant Corporation Counsel for Strategic Advocacy. On January 2, 2019, Ms. Menin was appointed to her two new positions by NYC Mayor de Blasio. On Wednesday September 5th, 2018 CPC hosted a delegation of 20 directors and professors from the Sichuan Administration Institute. The Chinese-American Planning Council (CPC) condemns the Supreme Court’s 5-to-4 decision to uphold the Federal Administration’s travel ban that indefinitely restricts non-immigrant visa travel from several mostly Muslim countries including Libya, Syria, Iran, Yemen, and Somalia. On May 17, 2018, CPC held its first ever City Advocacy Day. As the nation's largest Asian American social services agency, CPC used the day to highlight key issues and FY19 city budget priorities for Chinese Americans, immigrants, low-income communities, and communities of color. The Operations/Compliance and the Policy and Advocacy Departments wish to recognize and celebrate the contributions of Xishixin (Tony) Song for his work as an intern this past spring. Despite the gloomy weather on April 25, 2018, and in the midst of the nation’s anti-immigrant climate, the Chinese-American Planning Council, Inc.
On April 26, 2018, the Trump Administration announced termination of Temporary Protected Status (TPS) for Nepal. The termination will take effect June 24th, 2019. On Saturday, April 14, 2018, CPC President & CEO, Wayne Ho, spoke at the "Strong Voices: Asian Americans in Action" symposium hosted by the Asian Pacific American Caucus at the Harvard Kennedy School. On March 27, 2018, CPC and fellow nonprofit leaders gathered to ask the New York City Council Committee on Contracts to support an additional investment of $200 million in their March response to help ensure that contracts for nonprofit human services providers are fully funded. On March 27, 2018, Commerce Secretary Ross decided that the 2020 Census will include a citizenship status question. On March 8, 2018, Community Board 3's Health and Human Services Committee hosted a public forum on the downsizing of services locally available through Beth Israel Hospital until the new Mt. Sinai Downtown Beth Israel Hospital opens in 2020. Read more about CPC Advocates for Pediatric Services in Beth Israel "Mini Hospital"
Founded in 1965, the Chinese-American Planning Council (CPC) has the mission to promote social and economic empowerment of Chinese American, immigrant and low-income communities. On February 22, 2018, CPC stood with the New York State Child Welfare Coalition and fellow supporters to urge the Governor and State Legislature to restore child welfare funding by removing the cap on child welfare financing. On January 23, 2018, CPC was delighted to welcome Korea Christian University Social Work students who were visiting the US from South Korea. The students visited our Queens Community Center to learn about CPC’s mission and vision as well as the services that we provide to the community. 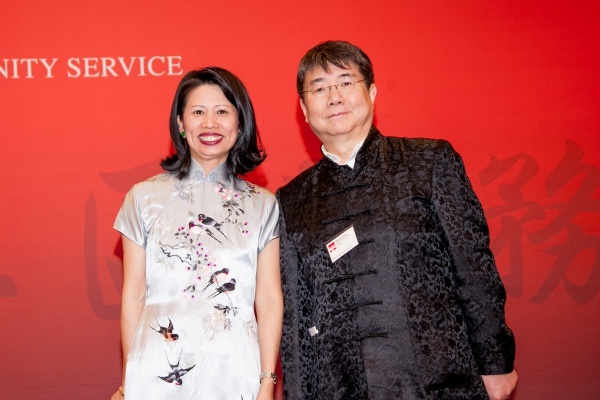 The Chinese-American Planning Council, Inc. (CPC) is excited to announce the elections of Veronica Tsang as Chair of its Board of Directors and William Tam as the Chair of the Board of Directors of its subsidiary, CPC Home Attendant Program, Inc. (CPCHAP). To celebrate the upcoming Mid-Autumn Festival, the Chinese-American Planning Council Inc. (CPC), Emblem Health and Flushing BID are pleased to present the ”Celebrate Chinese Culture Through Your Artwork” drawing contest. During the 2017 United Nations General Assembly, CPC was invited to represent the diverse communities we serve through participation in two events celebrating diversity and empowerment of all for social justice. The Chinese-American Planning Council, Inc. (CPC) has received a SafetyNet technology grant from IBM valued at $300,000 that will help improve services to the immigrant communities in New York City. The Chinese-American Planning Council Inc. announces the appointment of Bruce N. Lederman as a new member of the board of directors. Lederman has more than 35 years of expertise in commercial real estate and intellectual property litigation. Dynamism - (noun) great energy, force, or power. On October 5, 2016, CPC joined the NYC Public Advocate, Leticia James, elected officials such as NYS Assemblymember Ron Kim and NYC Councilmember Peter Koo, immigrant rights groups and concerned citizens to urge the federal government to provide the U.S.